First trailer for the sequel to the 2015 thriller. 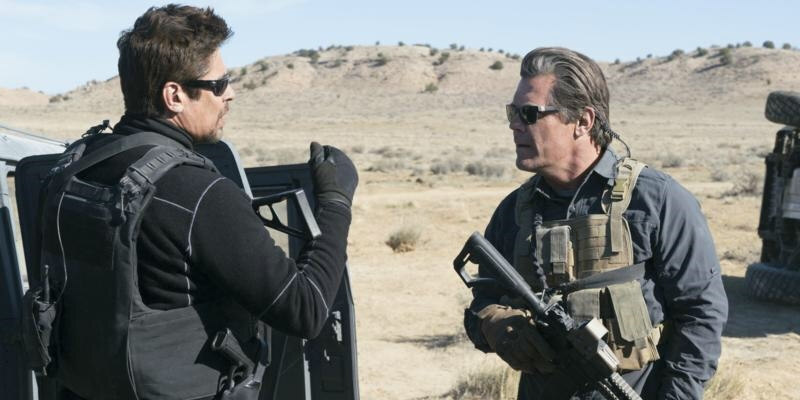 Sicario 2: Soldado sees Josh Brolin's federal agent reenlist the aid of Benicio del Toro's hitman in a plotline that controversially takes on cross-border terrorism. Like Emily Blunt, director Denis Villeneuve sits this one out but leaves the sequel in the more than capable hands of Stefano Sollima, whose 2015 Italian thriller Suburra is a favourite of ours here at TMW. Joining the cast are Isabela Moner, Jeffrey Donovan, Manuel Garcia-Rulfo and Catherine Keener. Sicario 2: Soldado is in UK/ROI cinemas June 29th 2018.